This is our street now! Just need Purdue and Notre Dame before we can start charging a boatload for rent. For the first time in four years I expected Ball State University to win a football game and it came through. The last time I expected Ball State to win a game was in 2008 prior to the MAC championship against Buffalo. I will spare you the details of that one. Since then I had been merely hoping our Cardinals could pull out a victory. I hoped for a victory against the MAC’s worst in the Stan Parrish era. I hoped for a victory against FCS New Hampshire and Liberty. I hoped Ball State would at least score 3 points at Oklahoma and Iowa. Saturday night, as Indiana made a shocking comeback, I still expected Ball State to kick a field goal for the win. We all knew Ball State needed this one to have a shot at seven wins and bowl game as the journey will be tougher from here on out. Myself, Alan, and pretty much the diehard fans, those who read this blog, knew Ball State was the superior team. The last time I felt that way about Ball State, Nate Davis was under center. Yes, IU was down to their third quarterback. Yes, Ball State did everything they could to blow their season in the fourth quarter. Yes, Pete Lembo acted up on the sideline making even Kevin Wilson seem rational. But I could care less now. For Ball State to beat their bigger in-state rival with a fraction of their budget and resources speaks for how far the program has come. 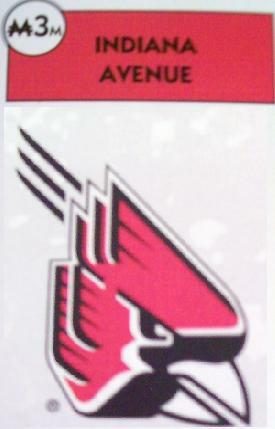 Ball State may never be a BCS team and that is okay. Being able to compete and respected by those BCS teams is the key. You must not be like Eastern Michigan. More on that later. Will the fans show up? Ball State: Special Teams Redefined. 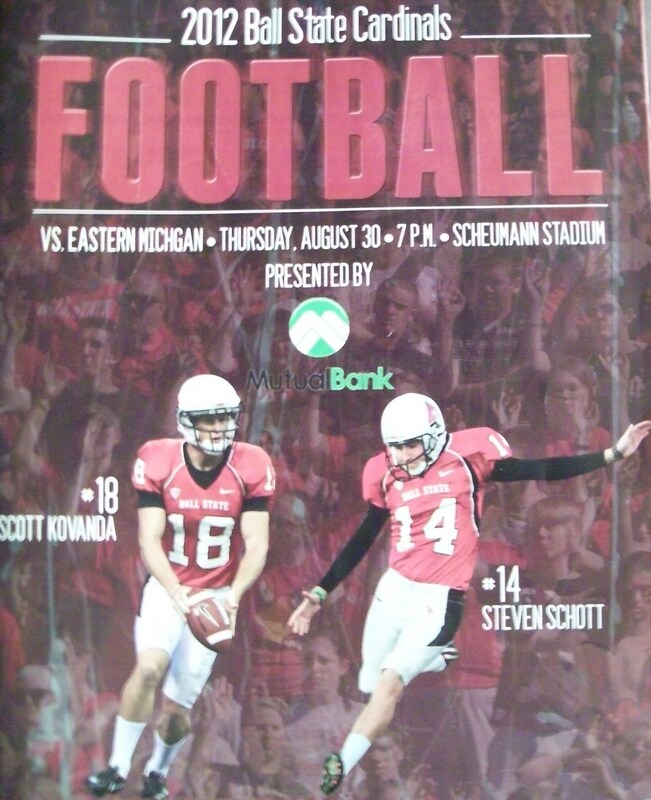 This is a HUGE week for the whole attendance problem at Scheumann Stadium. A quality team in South Florida is actually coming to Muncie. There is NO EXCUSE for fans to not come out to this one. Ball State is coming off a thrilling victory over their in-state rival. A team like South Florida only comes to Muncie about once every 10 years and that might be pushing it. It is a Saturday afternoon start so students will have time to sleep in. Alumni will have time to travel from outside areas. As a September game the weather should be nice. South Florida will hopefully bring up south Florida women. Make no jokes, if less than 15,000 fans show then Lembo should walk out and take the first job that comes his way after the game. Over 20,000 fans should be the goal. The diehards will have to push the casual folks hard this week. Maybe a Facebook event or a Twitter hashtag could help. I am thinking #BSU20K or #FilltheScheu, but just make an added effort this week. This is why it is important to be respected by BCS teams. A radio man and former Miami Hurricane player, Dan Sileo, made an epic rant on his struggling team this past week and took a shot at Eastern Michigan in the process. Given the Eagles first three games this season their defense is pretty weak to this. Just a reason why it is important to be respected by the BCS snobs. Starting with a flimsy Indiana team is a start, but for some in the MAC a start is out of reach. You better respect Ball State on Saturday South Florida. I expect them to do so.